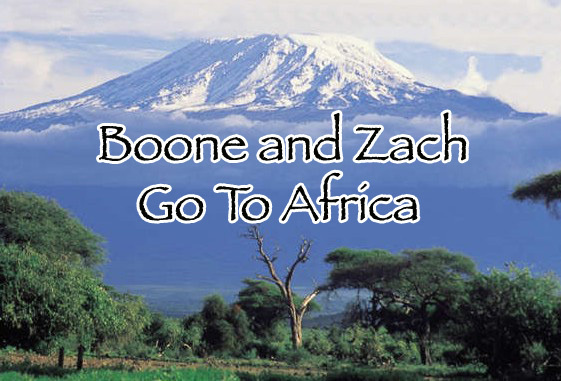 Boone and Zach Go to Africa: First Pictures!! Gentelmen, much respect for you guys and what you're doin. Hope you guys are having a blast and I know you guys are gonna make a difference to someone. Man, I just can't say enough; what ya'll are doin is great. I miss you guys and can't wait to hear all about it when you get back!